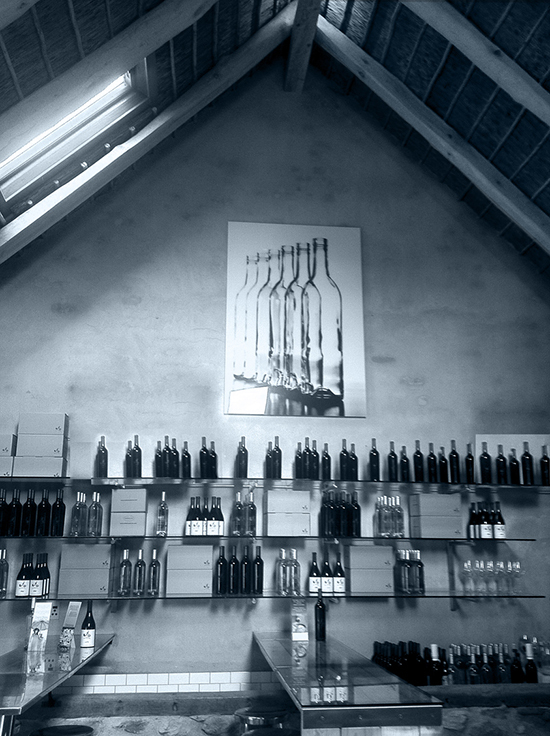 The Wine Shed, our new wine tasting area is situated in one of the oldest buildings on the werf. Throughout history this area was used for many farm activities, including an animal stable. Although it’s now converted into a modern space with glass panels, we have retained the original thick stonewalls and animal feeding cribs. Like the rest of Babylonstoren it’s a marriage of old and new, traditional wooden tops combined with contemporary stainless steel stools. 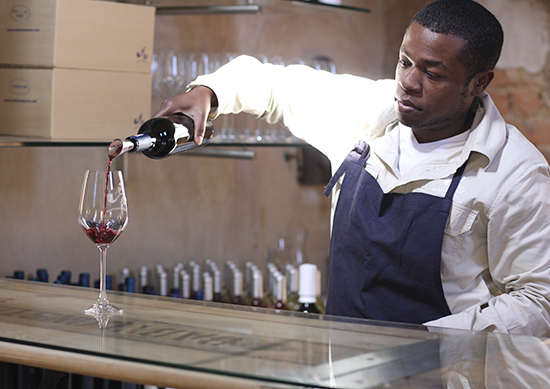 We invite our visitors to join us for the daily guided cellar tour. The tour starts at 12 noon and takes visitors through the entire winemaking process before ending at The Wine Shed for a wine tasting. There are six wines that bear the distinctive pipe, flower and bird logo that designate the trilogy of farm, garden and nature. Five of these are in clear glass bottles that reference the cellar architecture. They are a Chenin blanc, Viognier, Mourvédre Rosé and Babel, a fusion of black current, rose petals, chocolate and liquorice. The sixth wine is the Babylonstoren Chardonnay, singled out as a flagship wine by its classic presentation, wide girth and big flavours – the result of a marriage of wood with fruit. While all the other wines are resolutely New World in style, this flagship wine represents an encounter with the Old World as well as the French sensibilities of our region’s capital town of Franschhoek. All the Babylonstoren wines are available for online purchase through our website.